Diverse types of energy have diverse effects and various colors. When one starts healing or praying, the emitted energies have both vibration and frequency. The vibration and frequency of this energy assumes various shapes and colors. 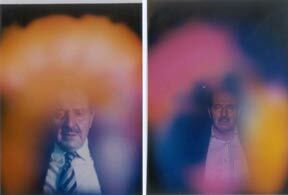 Some people are able to see energy and auras. They can see the shape and color of the prayer verses or the shape and color of the energy emitted by a healer. Quite a number of walk-in patients without any previous knowledge of energy healing were able to see the color, shape, and the movement of the energy in the room, when I was working on them or other patients. The patients didn’t know what they were seeing, since t hey had no previous experience with the imagery that was presented in front of their eyes. When a healer has the ability and permission of energizing materials, he or she can affect the level of energy in an object. It doesn’t matter what the object is. It could be water, raisins, nuts, or a piece of a cloth, a scarf, eyeglass, or any other object. While a patient is under energy treatment he or she can use the energized objects, including energized nutritional products, as a supplement. This way between treatment sessions, patients can maintain a higher level of energy by eating the energized nutritional product or by placing the energized object on the organ that is being treated to heal the disease. Based on the type and severity of the patient's disease, the interval varies when taking the energized nutritional product or using the energized object. A person with a mild level of pain can eat the energized nutritional product to alleviate the pain. Some people have the ability to using the healer’s energy in between appointments by simply requesting it. However, not everyone is able to use this method of remotely requesting and absorbing the energy. Some people who are stronger mediums are able to see the color and shape of the energy on the energized material or the nutritional product. The energy of the energized material or energized nutritional product will remain for a long duration of time. I was able to demonstrate this at Dr. Norman Shealy’s Institute. 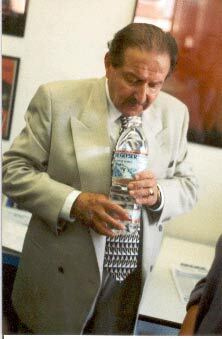 The EEG of the subject prior to and after drinking the energized water clearly showed the changes in brain waves. When we can observe that energized water influences the brain waves, it can also influence other internal organs. Rain Drops: Energy fills up the room like white small raindrops that are pouring down. This type of energy is used for mass healing and pours down over the people who are present. Sinusoidal: Energy emanates from the mouth and hand of the healer and moves toward the person like a wave. Around the person it changes into a bright green color. The energy is colorless when it is emitted from the healer. Then it turns into a color, as it gets closer to the patient. Droplets: The energy is emanated from the mouth or the crown of the healer like a round golden droplet and starts rotating around the patient. Borrowed: A healer grants permission to an individual to use the healer’s energy for a given period of time. The energy is formed around the person's hand as a bright green color, and doesn’t get emitted from the mouth or the crown. Laser: Energy is emanated at a very fast speed like a laser wave from the hands. The healer is able to divide it into two distinct branches that move in separate directions. Prayer: The healer can help the patient by reciting certain prayers. In this case the energy is emanated from the mouth in a bright golden color. The healer can command the energy to move toward the patient at a rapid speed. All objects on earth have auras. Plants and animals usually have only one or two layers of aura. Generally, a newborn has seven distinct layers of aura. When a newborn has some kind of birth defect he is born with only four layers of aura. For example, a Mongoloid new born only has four layers of aura. Based on the types of birth defects a newborn has, the aura can number between seven to four distinct layers. The color of the aura of a newborn baby is close to yellow or lemon, and sometimes is pinkish color. The number of aura layers stays constant until puberty. When people have a problem with an organ, the organ's color will turn into a dull color. A healthy person's organ may maintain the same color of aura, but it is a bright color. Let's consider an organ in three different states. When the organ is completely healthy, the color of the aura is bright. When the organ is partially healthy, the color of the aura is grayish blue. When the organ is completely damaged, the color of the aura has turned black. When a healer emits energy to an organ, different colors emanate from the organ. As the energy is affecting the organ and the organ is becoming healthier, the colors of the aura change from black to gray, gray to blue, and eventually to a bright color. Sometimes the color of the organ changes into a bright pink or gold color. People are responsible for their own deeds and actions. When a human being's behavior and action is virtuous and based on good intentions, and they do no harm to others, then the color of their aura becomes brighter. When a person pursues the spiritual path and cleanses his or her virtue and intention, their aura becomes brighter until it is finally white. When a person's aura is white, he has reached the last and highest level. When people pursue the path of wrong deeds and harm others, the color of their aura stays dull and may become darker until it's black. The color and quality of one’s aura can’t set the destiny of a person, but a person can influence the color of their aura and their destiny. 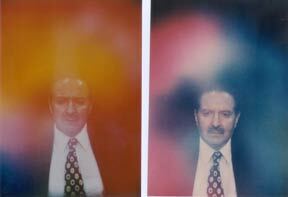 The aura represents the mental and physical state of a person. It is important to note that neither the type of career an individual pursues nor their social status will affect the color of their aura. It is the individual's virtue and intention that sets the color of the aura. One can’t say that a wealthy person will have a bright colored aura and a poor person will have a dark colored aura. If a wealthy person is involved in some criminal activity and doesn’t pursue the path of good intention and virtue, the color of their aura may be dull. If a poor person is a good-hearted individual and pursues the path of good intention and virtue, then his aura might be bright and white. An individual’s temper and behavior changes the color of his aura. If an individual becomes angry the color of his aura immediately changes into a gray and dull color. When a person is in a happy, serene mood, the color of his aura is brighter. Curator’s Note: The following introduction is provided by Master Healer Behrooz M. Danadoost, one of Ostad’s students. Read about Master Danadoost in “Students” page. Before too long I was able to see Ostad Parvarandeh’s work in color. He was amazingly powerful. As soon as he touched the patients, their Chakras started to balance right away. The two minor Chakras on the spleen joined forces each and every time and behaved like a major Chakra. However, he did not seem to be interested in Chakras at all. 2 - The Heart Chakra, which is over the center of the heart. The purpose of this Chakra is strengthening of the entire body, and it works with the brain in influencing clairvoyance. It is not associated with love, as traditionalists have said. The color is turquoise. It has no direct connection with any particular planets. It has a global connection with the universe. 3 - The Liver Chakra, which is located over the liver itself. This strengthens the entire body, and weaknesses or lack of good influence of a normal balance of the liver Chakra would lead to at least 20 different diseases, including most migraines, fatigue, Glaucoma, Hepatitis, Cirrhosis, etc. The color is yellow. It has no direct connection with any particular planets. It has a global connection with the universe. 4 - The Spleen Chakra, which is located over the spleen. Its major influence is to decrease pain and to control the manufacture and primary function of the white blood cells. The color is white silver metallic. It has no direct connection with any particular planets. It has a global connection with the universe. 5 - The Navel Chakra, which is located directly behind the umbilicus, or belly button. This particular Chakra is for sexual functioning and love, and that is its influence. The color is flat white. It has no direct connection with any particular planets. It has a global connection with the universe.